In the factory, through the inspection of the cartons, the cartons that cannot meet the required standards are classified and concentrated. This is a means of controlling the flow of defective cartons into the secondary project. At the end of the prevalence of quality management, people considered rejecting cartons as waste. To catch up with the so-called â€œscientific managementâ€ trend, people established a â€œquality inspection system,â€ and the rejection of defective cartons became a habit. Quality control only removes defective cartons and fails to take further measures to prevent the production of defective products. Like a football player, it is a pity that the ball is attacked near the opponent's goal and stopped. "Quality is produced, not tested." Machines such as cutting machine tool sharpness, press machine stroke possible changes. Materials such as: supplier replacement, material replacement, mechanical or chemical properties of materials, changes in material size. Methods such as: process changes, tools, and improper fixtures. Operators such as: operator proficiency, operator habits, operator's operation in accordance with operating standards, operator's strength and emotions, operator's workplace and use of tools. Environmental factors such as: power stability, water quality stability, temperature, humidity, lighting, floor and workplace cleaning, place of work place items. Management factors such as: the proportion of emergency orders, frequent flow of models, and improper design. The level of personnel flow can often reflect the degree of employee recognition of the company. In particular, companies with high turnover rates, and all the conditions for growth, will be lost along with the flow of people. The same is true of quality. Imagine a newcomer, who is not only inefficient due to poor work proficiency, but also lacks understanding of machines and tools, lack of understanding of materials, unfamiliarity with work methods, and lack of understanding of carton quality requirements, etc. How can we hope to obtain a stable quality from them because there are too many and too many causes? That is, it has to pay a priceless effort. A large number of companies will only feel troubled about the flow of people, but they have not effectively adopted "blocking flow" measures, which is actually the biggest obstacle to the growth of enterprises. Stable people say it is easy but difficult. However, if supervisors from all walks of life can treat subordinates with â€œI have you in mind,â€ it is natural to cultivate work emotions that â€œyou have me in your heartâ€. Imagine men and women in love, easy to separate it? Modern people are more pragmatic. In addition to feeling the existence of "I am," they often need practical actions. These actions are called "incentive measures." What enterprises need is rapid and steady growth. The key lies in the people of the company. If people are stable, they can, of course, gradually become skilled in their work and accumulate experience so that practice will make perfect. However, this "self-exploration" road is too far away. It is now an era of scientific management. What is fast is skill. Before the rice cookers and gas stoves were invented, cooking and cooking were all done using firewood stoves. They burned slowly. The parents taught us to use a fan to send the air, so that the firewood could be burned quickly and the food would be able to be cooked. Faster. Carton quality management is also the same. How can every member of the company be able to complete work more efficiently and with higher quality? A good education and training program is indispensable. Modern enterprise management emphasizes diversified specialization. Every job has its own professional knowledge and theoretical basis. How to evolve these professional knowledge and theoretical foundations into practical skills requires people with theoretical and professional experience to do so as well as to fill the gaps in the work experience of the companyâ€™s members and differences in ideas as soon as possible. Coordination difficulties. We often hear complaints from executives at all levels of the company: We are so busy every day and when we have time for education. In fact, it is because of this misconception that it is easy to cause a bottleneck in the growth of the company and cause â€œwe are so busy every dayâ€. Standardization can also be said to be a system, or a rule, or a work rule. It is a work method. In all the work, there are many variables in the implementation process, especially the changes in people. People's changes include: different people, or the same person will also have different ways of thinking and working methods. Changes are the main source of all instability, and changes are divided into inevitable and unforeseeable changes. For example, a certain amount of work experience has been accumulated for a certain period of time for A. He has his working methods. Waiting for a certain B to replace the same job, due to lack of experience, there is no work standard to follow, only to assess the supervisor in the delivery of a simple job description, of course, only the rest on their own to explore. Similar situations abound. But how many managers can consider the consequences or take actions to improve the instability caused by this situation? The role of standardization is mainly to accumulate the technical experience accumulated by the members of the company by means of documents, not because of the flow of personnel, and the entire technology is lost. Furthermore, because of the standardization, every job is changed. Different people have come to operate, and not too different because of different people. 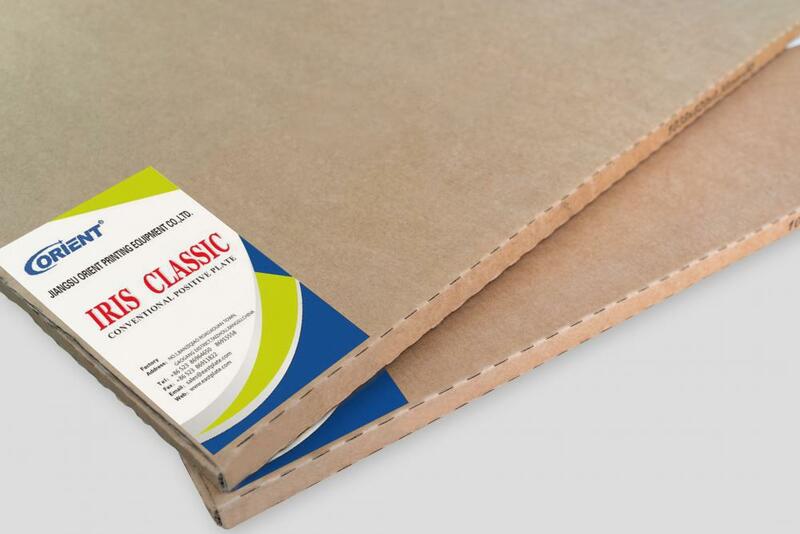 Therefore, establishing work standards is the most thorough job of maintaining the stability of the work and stabilizing the quality of the carton. In fact, if companies want to grow, they must maintain their job stability. There is no stable condition, but it is hard to grow. This is also an important reason why many companies are mismanaged and mismanaged. Nowadays, the ISO series that is popular in quality control is implemented. The main spirit is how to do it and how to write it out. Write it out according to what you write. This is the best explanation for standardization. Dirty workplaces represent low efficiency, unstable quality and various wastes. Dirty refers to the improper placement of the machine and the lack of maintenance, the placement and handling of tools, fixtures, and the arrangement of worktables and desks; disorderly placement and uncleanness on the ground and in the channels. Because it is messy, it will cause a lot of work to be disturbed. To eliminate the disturbance, you have to start from the most basic elimination of mess. Everyone knows that if you don't pay attention to work, you can't get high-quality products, and the workplace is messy, and it's the most obvious representation that you don't pay attention. Modern Japanese management experts put forward a recipe for eliminating mess, that is, promoting 5S activities. We are also convinced that companies that are determined to continue implementing 5S activities can have unexpected results, including quality of course. The workplace is messy and the products produced are usually unstable. In the opposite way, what about the clean and refreshing workplace? We can find the answer. Dirty, though not an absolute factor that affects quality, in real examples, one has to believe that it has a major causal relationship. Products rely on machine production, the machine has accuracy and longevity. The human body usually pays attention to maintenance, the body does not maintain a poor health condition, minor illnesses such as colds and colds will often patronize, if you do not care for a long time or do not see a minor illness, then the serious illness will not be far away from you, â€œsmall He died when he was ill and suffered hardship." In the same way, the machine does not pay attention to maintenance, and the precision and life of the machine will drop. With the loss of time, the mechanical performance will also slowly decline. Of course, the quality of the carton is not guaranteed. Probably we can't stop the depreciation of machinery, just as it can't stop human aging, but we can fully extend the life of the machine and extend the performance time of machinery. Therefore, a perfect machine maintenance system seems to be important. The importance of equipment management has already been recognized by business owners. It can not only reduce the part of the depreciation costs in the finished product cost, but also mainly the quality of the equipment and the quality of the carton. contact. Here I don't elaborate on how to perform equipment management and establish a maintenance system. I believe most of the plants know how to do it. However, the key is whether you have done a good job or not as usual after setting up daily maintenance, weekly maintenance, and monthly maintenance. For the above five points, if the company is determined to do it, the quality problem will be solved by half.